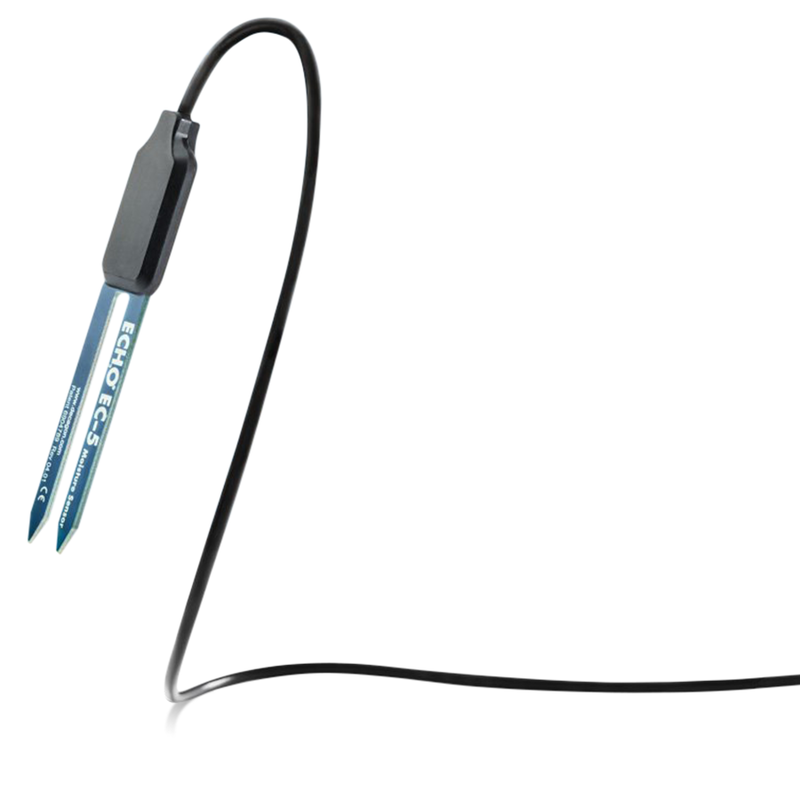 The EC-5 is a basic, reliable and low cost soil moisture sensor. The EC-5 determines volumetric water content (VWC) by measuring the dielectric constant of the media using capacitance technology. Its 70 MHz frequency minimizes salinity and textural effects, making this sensor accurate in almost any soil or soilless media. It is just 5 cm long, and has a 0.3 L measurement volume.